This packaging is ideal for children going off to camp. 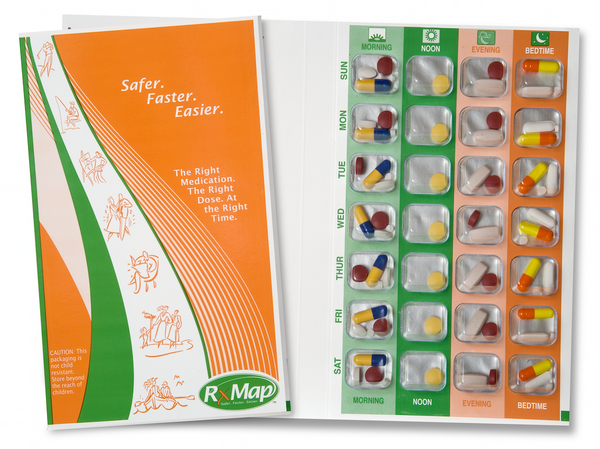 The entire bingo card is filled with the same medication, then labeled. There is no extra charge for this service. This packaging is for assisted living residents who are on the facility's med program. The packaging is New Jersey compliant and includes the name and strength of the medication as well as the lot number, expiration date, and a full description of the dose. There is no extra charge for this service.